Baby, it’s cold outside…and that means the Lititz Fire & Ice Festival is on its way. 2016 marks the eleventh year for the event, which features ice sculptures on display in the park and throughout town, food, games, and all sorts of activities over a three-day period. This year, the fun begins on Friday, February 12 and wraps up on Sunday, February 14. Lititz Springs Party In The Park – 5-9 p.m. Downtown Block Party – 5-9 p.m.
Chili Cook-Off (which benefits over 25 charities) – 11 a.m. – 3 p.m. (Warwick High School Cafeteria). 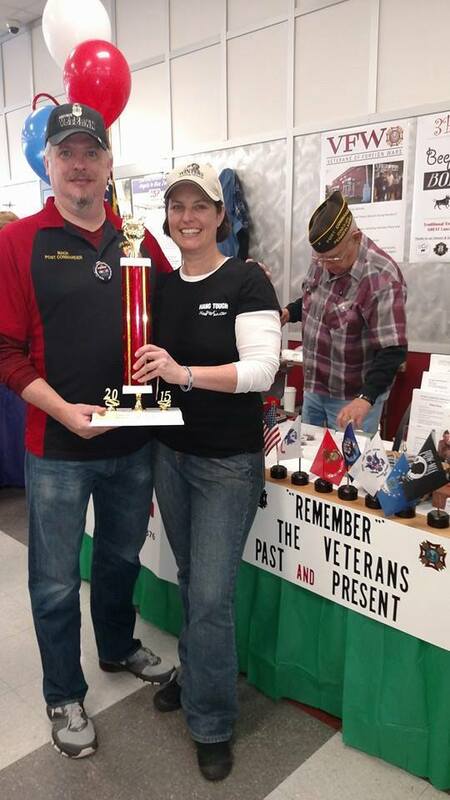 Last year, I (along with the Ephrata VFW) was fortunate to win the “Hometown Heroes” trophy during the cook-off! I look forward to helping out again this year to support our vets. Community Movie Night at Linden Hall – Doors open at 6 p.m. & movie starts at 7 p.m.
As you can see, this year’s event offers the perfect cure to cabin fever, so get out and enjoy it. And if you want to make an entire weekend of it, book your room at the Historic Smithton Inn now. We’ve still got room at the inn!